Designed by Enrique Norton, One Ocean offers an exclusive residential lifestyle located South of Fifth, Miami Beachs hottest neighborhood. 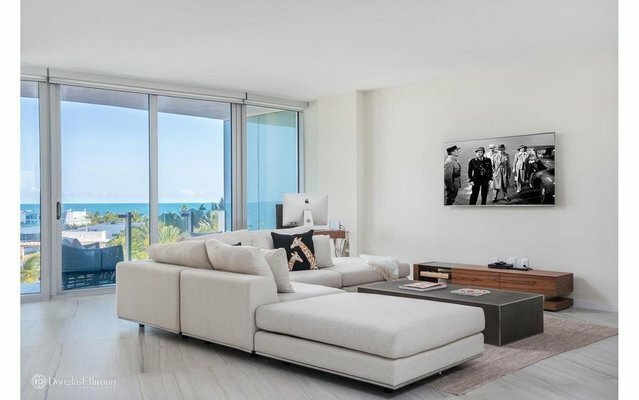 Enjoy stunning ocean views overlooking Ocean Drive and Nikki Beach from this 3 bed, 3.5 bath residence outfitted with porcelain tile floors and a marble kitchen equipped with Wolf appliances. 5 Star Luxury Amenities include 24-hour on-site concierge service, an infinity edge pool deck designed by Swiss landscape architect Enzo Enea, a state-of-the-art fitness center and a dedicated beach club with custom lounges, umbrellas and cabanas.